The new track-mounted unit delivers unprecedented efficiency without compromising on environmental standards. The new Lokotrack® ST2.8 track-mounted scalping screen sets a new standard for transportability, capacity and accuracy in mobile scalping screens. 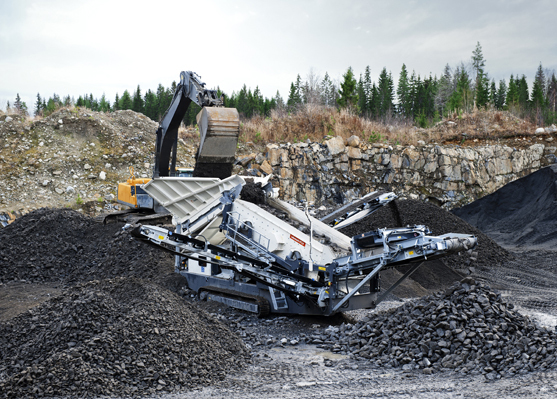 It is the perfect choice for recycling applications and Lokotrack® multi-stage crushing processes, helping you transform even the toughest feed material into profit. Typical applications include top soil separation (waste land), demolition, quarries, sand hills and other processes requiring a scalping screen. The new screen is at its best when the feed material is sticky, wet and difficult, and when high capacity is required. An optional heavy-duty magnetic separator and drums enable the screen to handle even metallic material. 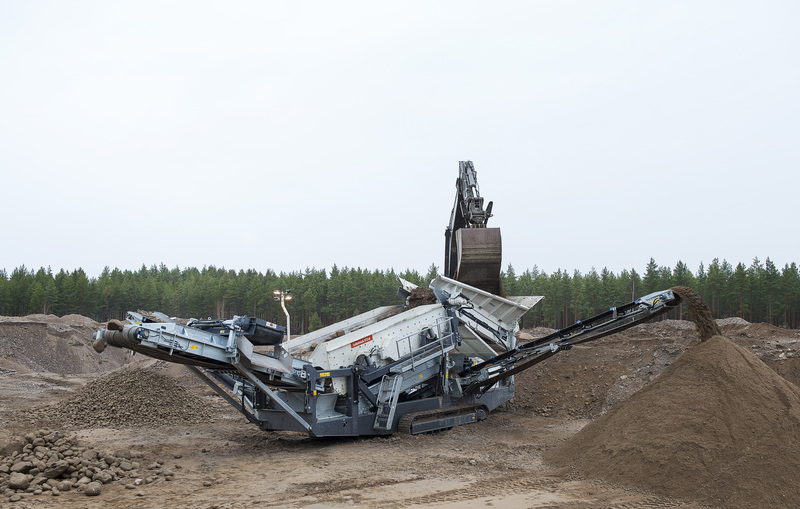 At the core of the Lokotrack® ST2.8 is a brand new Metso high-stroke screen, which provides the highest stroke on the market and more screening area on the second deck compared to other mobile screens in the same size range. The high eccentric throw translates to power in material separation and a large screening area ensures precision in fines separation. The new unit is a low-emission machine that will also help reduce operating noise. These benefits combined with compact dimensions make Lokotrack® ST2.8 well-suited for screening even in the middle of densely populated residential areas. The powerful Caterpillar C4.4 diesel engine meets the latest emission regulations, and the new hydraulic system allows for a lower fuel consumption compared to similar screens. As an additional feature the Lokotrack® ST2.8 can be operated with external electricity and by an intelligent control system. Special attention has been paid to ease of use. The Lokotrack® ST2.8 is significantly lighter than its predecessor, and requires no tools or cranes for set-up. Push-button control and a Service DVD make Lokotrack® safe and easy to operate. This excellent usability plays an instrumental part in the rental business, making set-up easy and allowing more time for production.